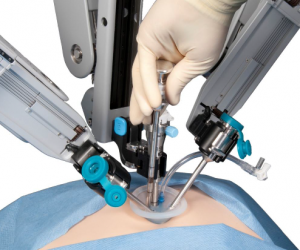 Robotic Prostate Cancer Surgery, Advanced Technology india. There are already robots that can assist in surgery, like the various surgery system used all over India. But what if a robot can be programmed into performing a certain procedure without any direct intervention from the surgeon? Like the driverless Google car? 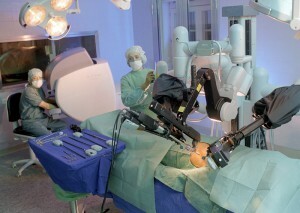 The current robotic surgical system cannot run on its own, it has to be maneuvered by a surgeon. While opinion is divided on the outcome, top surgeons, however, do not rule out such a possibility. Presently, robotic equipment can take you to the abnormal area like tumor, blood clot and abscess so that tissues can be biopsied safely. The next stage will be robotic instrument that can be manipulated 360 degrees, conducting the biopsy on its own based on the program fed into the software system. The Doctor said this could be done because the team had the benefit of all diagnostic imaging—CT scan and MRI—results being fused together into robotic computer, so the mechanical arm can avoid damage to other organ. 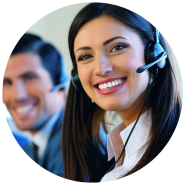 Most medical equipments are being invented abroad and the team has to import them at a high cost. India has lagged behind. If engineering institutes such as IITs and top medical colleges can work together, one can outpace them in developing new technologies. He cited the example of a software program developed by IIT wherein a boy paralyzed neck down could operate computer with only five keys. In 1970s, till the CT scan was made available, surgeons would explore just on history and clinical examination to see which part of brain is involved. But now we have advanced imaging system such as MRI to explore all details of the abnormality.